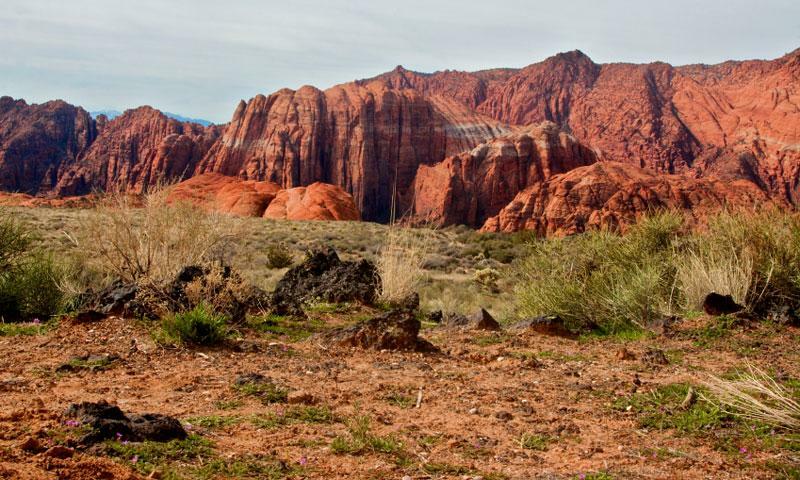 Snow Canyon State Park's (Utah) red sandstone is restricted by an covering of black volcanic rock that creates a perfect photographic, biking, hiking and camping treat. From spring to the fall recreation has become particularly tempting because of its pleasant winter temperatures. What more could a visitor ask for on any nature bound vacation? Utah's Snow Canyon State Park is another photographic opportunity waiting to happen. It also provides exceptional recreation facilities for hiking, camping and biking, as well as pleasant temperatures and volcanic cones, just for that added treat. The park is known for its remarkably multihued canyon, and lush forests and trails that are designed to please. With no restrictions on its use, the park has wide-ranging amenities that include a large campground, full-service washrooms and showers, electrical outlets, sewage and garbage disposal, a huge pavilion, picnic tables, fire pits and an extra space in case more campers arrive. Snow Canyon also has some nine trails of varied levels of intricacy. For families, joggers, hikers and rollerbladers, the Whiptail (six mile) is recommended for its limited undulation. Others may prefer something more challenging, like the Hidden Pinyon (one and a half miles) with its rocky sections, sudden drop-offs and unique geological formations. However, for the ultimate challenge, the White Rocks Lava Flow trail offers four miles of rocky and pretentious surfaces that lead to volcanic landscapes, breathtaking canyon features and lush green backdrops. In fact, this one is not only attracting the hikers, but is followed closely by volcanologists who constantly monitor the area's sleeping giants and use it as a means of necessary research. 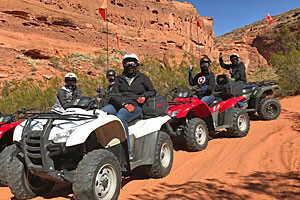 Visit the Snow Canyon State Park Website for more information.